From my doll family to yours, I hope you have a fun and safe Halloween! I had my Kenners dressed up for a Halloween meet that happened over the weekend. Emmalynn (redhead) is Dorothy from The Wizard of Oz, Lily (blonde) is Cinderella who’s missing a shoe and Prim (brunette) is Medusa. 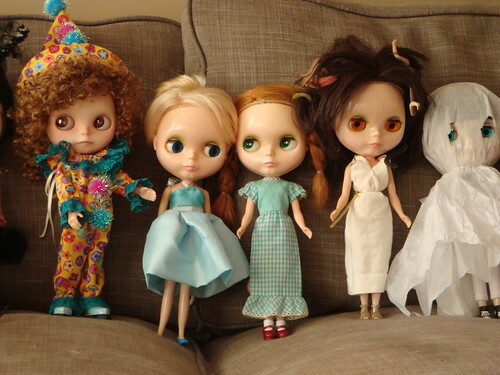 QOTW: What are your dolls dressing up as for Halloween? QOTW: Halloween costumes for your dolls?